Aptrack V2 offers a number of ways to group and manage your candidates, before sending responses on an individual or group basis. The primary feature is the opportunity to easily colour code your candidates into 3 groups or statuses* For example, ' Rejected', 'On Hold' and 'Invite for Interview'. * depending on account set up - more statuses may be added. To view the application, it's source, CV and all associated details, click on the candidate name. To view the candidates CV (if attached), click on the Paperclip icon and select open or save file. You will now view the application in the main display window (as seen below). From here you will need to select a status for the application. Depending on the account set up, you will have the option to select one of the above options, ' Rejected', 'On Hold' and 'Invite for Interview'. To do this, simply click on the corresponding colour box. Please note; selecting a status will not yet send a response to the candidate. You are just pre-sorting the applications. 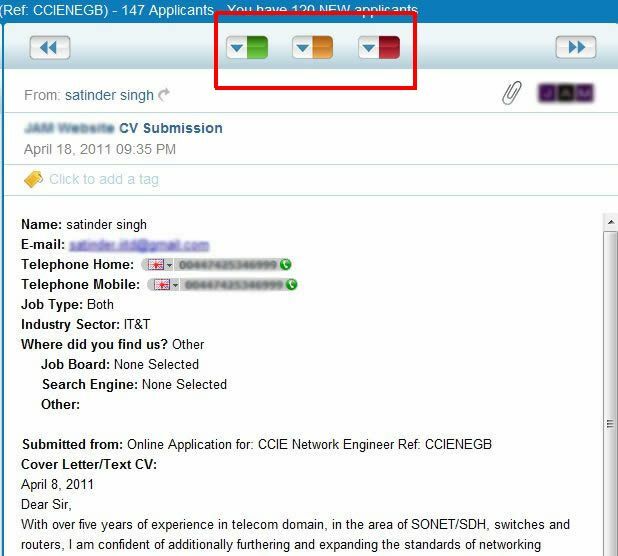 Having worked through a number of applications, and grouped them accordingly, you will see the corresponding colour bars in the applicant panel to the left. 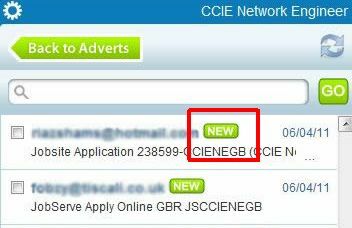 (Having selected a status for the candidates, you will see a 'forwarded' arrow next to the candidate's name. Simply view candidates in the main window, or use the check boxes to muti-select, and then re-select the required status. 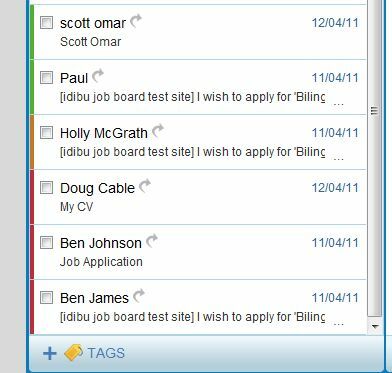 When you have selected the status for your candidtaes, you are able to respond individually or on a group level. Please see the 'Responding to your Candidates' article for further information.